When I was in design school, packaging design was definitely a highlight for me (despite not being particularly good at it). Since then, designing physical objects that exist beyond a typical 2D poster or on a screen have always been the projects I’ve enjoyed the most. From video game boxes, to vinyl record sleeves, to brand installations, working in three dimensions and being challenged by real-world materials is the perfect overlapping Venn diagram of my nerd tendencies. I’m also a big fan of mid-century stereo consoles. These clunky wood veneer boxes stuffed with generally mediocre electronics were a beacon of upper-middle-class-ness of the post-war era. They also did something a little more subtle – they made music a focal point of the living space. We have lost this over the years for various reasons. Electronics have shrunk so filling up a whole wall with a stereo seems unnecessary at best. Device manufacturers like Sonos have engineered a very small black box to sound really big (it’s quite impressive actually). And, probably most notable, we’ve culturally made music listening a very personal endeavor kept inside earbuds and curated on our phones. Now, there has been a resurgence of vinyl and that has forced people to rediscover the allure of turntables and speakers and then learn how to fit these physical things into their digital lives. I think this is a good trend, but I’m less interested in the revival of these technology and more interested in the anachronism of the furniture they used to inhabit. Making music a physical focal point of a living space. 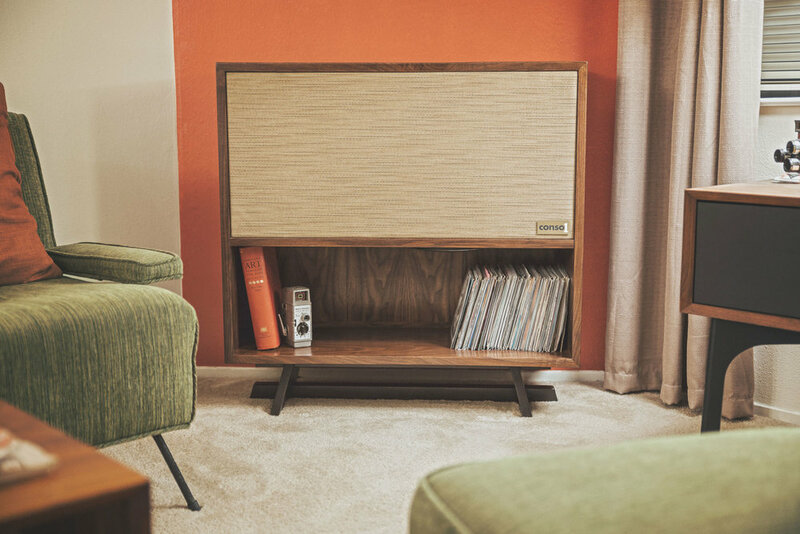 Could I design a console stereo borrowing the mid-century aesthetic, but purpose-built to be as-good-or-better-than the current high end offerings? It’s one of those dumb ideas I have late at night that keeps me up until there is no turning back. 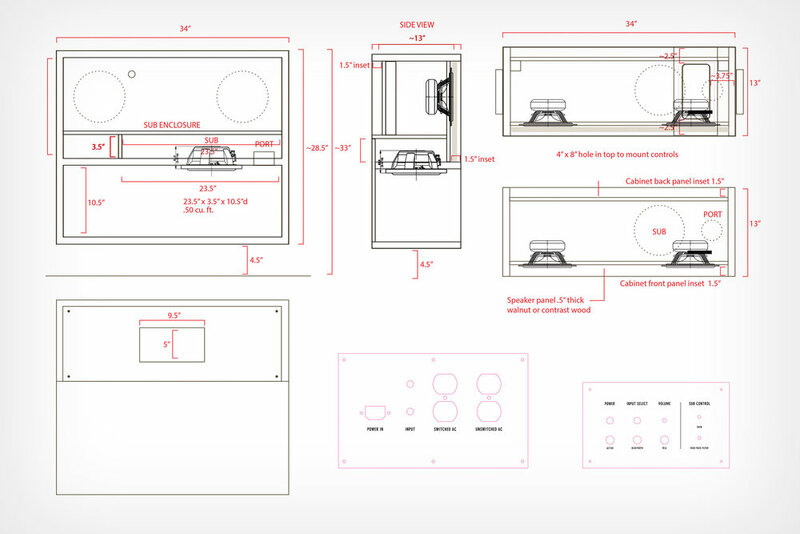 It took nearly a year to go from initial designs to final built cabinet and laying in all the electronic components. The cabinet construction was done by Rob Spiece and Larissa Huff of Lohr Woodworking in Schwenksville, PA.